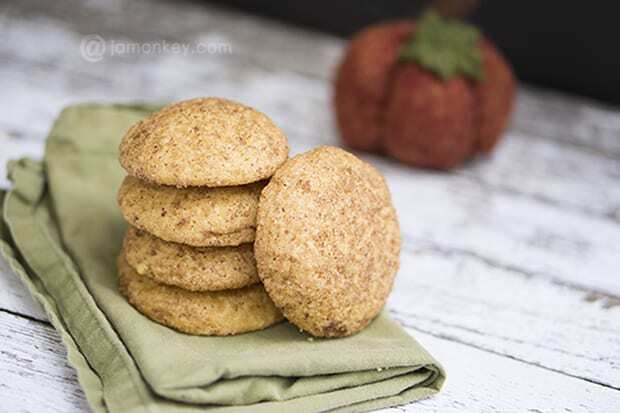 What happens when a Snickerdoodle and a Pumpkin cookie get together and have a baby? A Pumpkindoodle cookie and man are they good. My experimenting paid off, so much so that my family ate the first batch I made before I could take pictures of them. How heartbreaking to have to make more….really kill me now. I literally combined the aspects of the two cookies together to make them. Adding in some pumpkin and substituting cinnamon for Pumpkin Pie Spice. Aren't they beautiful? They will go fast, I promise you that. Let's get started! 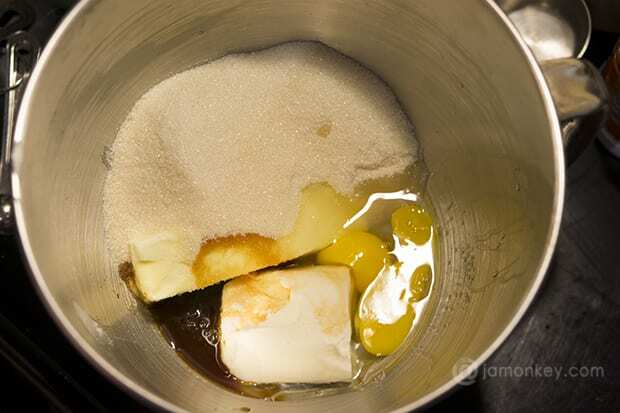 Combine butter, shortening, sugar, vanilla extract, pumpkin and eggs in a bowl or your mixer. In one bowl mix all of your dry ingredients together. Blend flour, cream of tarter, salt, and baking soda. In one batch I used whole wheat flour and the other I used all purpose flour and I think they came out better with the all purpose flour. Blend your dry mix into the wet mix. In a round bowl mix turbinado sugar and pumpkin pie spice together. You will need a cup of water to wet your hands between each cookie. 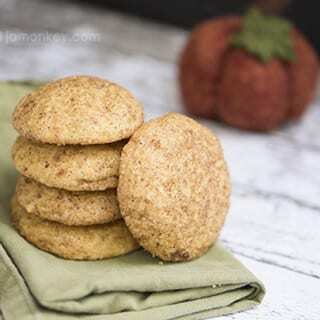 Unlike regular Snickerdoodle cookies, the pumpkin makes these cookies very “wet” or “gooey” so rolling the dough into balls will be easier if you wet your hands first. 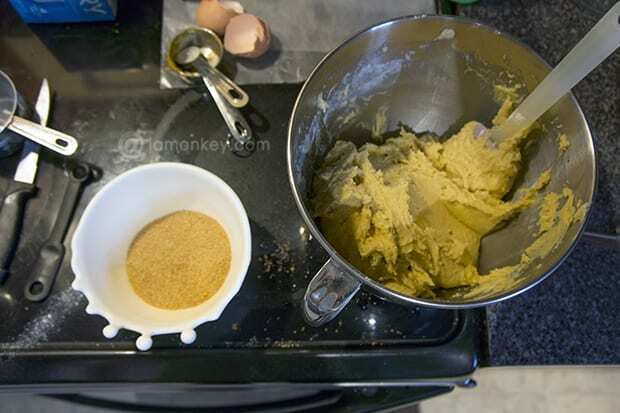 You then can roll the dough into a ball and then coat it in the sugar / pumpkin spice mixture. Mix eggs, butter, shortening, sugar, vanilla extract, and pumpkin puree until blended. 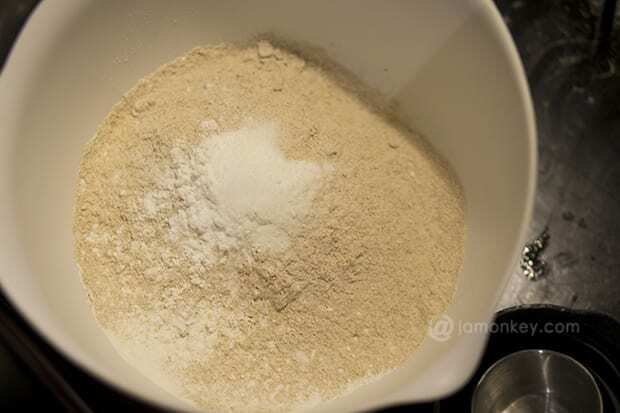 Mix flour, cream of tarter, baking soda and salt in a separate bowl. Slowly mix the dry ingredients into the wet ingredients until well blended. In a round bowl mix turbinado sugar and pumpkin pie spice. Drop ball into sugar/spice mix and swirl around in the bowl to coat the dough. 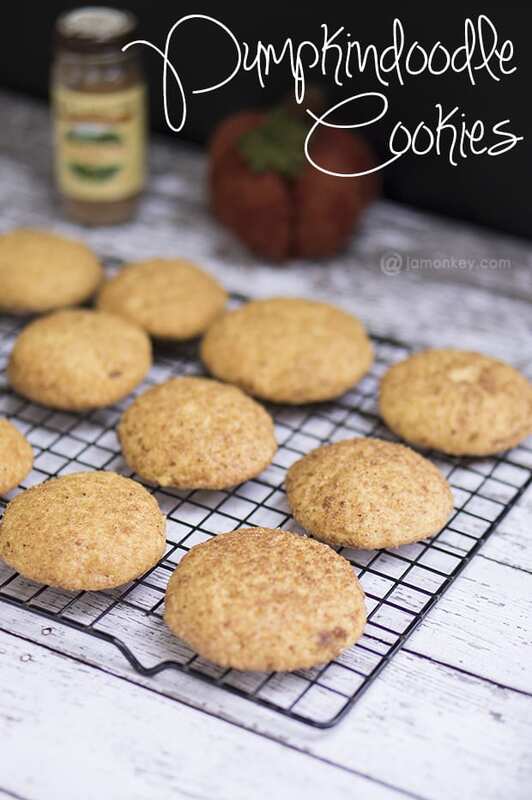 You will more than likely need more sugar and pumpkin spice depending on how big your cookies are or you may just want more pumpkin spice like me. 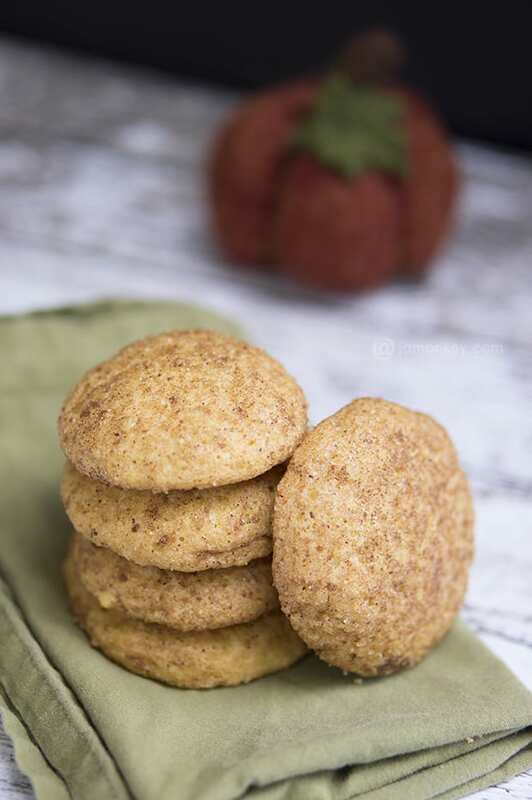 A pumpkin snickerdoodle looks and sounds seriously delicious. Good thing I have all the ingredients on hand so I can make the recipe.. pinned! Yes, 350. Updating now. Thank you.